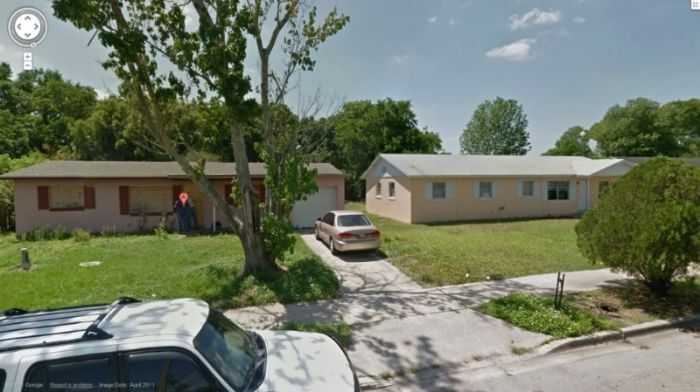 Beginning in April, Lake County, Florida will begin selling properties through the tax deed auctions on the internet. The first online tax deed sale in Lake County will be on Tuesday, April 3rd. If you are interested in bidding there or getting more information about these sales, you can go to the Lake County auction site at www.lake.realtaxdeed.com. Real Auction hosts sales for many of the counties in Florida and will be doing the Lake County sale as well. If this will be your first time bidding at one of their online auctions, it’s probably a good idea to go to one of the two training classes (March 26 or 27th). The classes last about 90 minutes and cover the software only. Beware that you generally have to register for each county seperately even if you already are registered with Real Auction in another county. Click here for information on the training classes. The Miami-Dade County Inspector General says the Con-artists lured victims into believing that a county employee inside the Tax Collector’s office could sell tax deeds before the public auction. The State Attorney says they collected a total of 2.5 million from investors who thought they were buying tax deeds from the county before they were scheduled to be sale. Instead Investigators say the suspects didn’t have anyone on the inside and were forging tax deeds and selling them. The 4 suspects also allegedly ran a short sale fraud scheme too. Investigators say the suspects were forging tax deeds and selling them. Ayda Young, Yohany Garcia, Zoraida Abreu, and Johnny Bou-Nassar were arrested on Feb 22nd and charged with Racketeering, Grand Theft, Uttering Forged Instruments, and Identity Theft. In total, the criminal charges involved 15 victims that were defrauded of over $2.4 million. Officials say most of the money was spent gambling and there isn’t any money left to repay the victims. Miami-Dade Inspector General Chris Mazzella said, “Where you have the promise of great returns on low investment with no risk, than you really need to be careful.” You can read the Inspector General’s report here. By knowing how to research and perform your own due diligence, you gain a competitive edge over those who don’t know how, but more importantly, you will have the tools needed to evaluate properties on your own. The more knowledge you have about any piece of property or the seller with whom you are dealing, the better negotiating power you will have. I was able to take control of a house based on the information I found in the public records about the owner. Knowing what to look for or even what you are looking at will help you define your strategy. Don’t forget, if you want to attend the class, you should register now because the early registrations discount ends. You will learn how to find the red flags before you get in the deal so you can pull the trigger safely or in the worst case scenario figure out how to wiggle your way out of a bad situation. We’ll also cover: how to research properties as well as businesses and people; how to navigate the public records and court files to find liens, probates/estates, evictions, finding code enforcement violations, resources for finding property values, and much more. Sign Up Here. If you are buying tax deeds and paying with a cashier’s check you may want to make sure that you check with the county on their policy regarding when your tax deed will get recorded. Recently we bought a property and usually the way it works is that you pay your deposit at the time you win the auction and return either that day or within 24 hours to pay the balance off. Ordinarily the clerk’s office accepts cash or a cashier’s check and they promptly record your tax deed. Well not this time at this particular auction. They are now putting a 10 day hold on cashier’s checks. Turns out someone burned them at a foreclosure auction, perhaps they stopped payment on a cashier’s check. Now the clerk in this particular county will not issue the deed until 10 days later if you are paying with a cashier’s check unless you are paying with cash. I guess you can bring cash, but… Got an Armed Guard? — to come with. The deadline for filing for your Homestead Exemptions is March 1st for many counties. Homestead Exemption is a tax reduction for homeowners who make their property their permanent residence. If approved, this exemption could reduce the taxable value of your residence by up to $50,000. The first $25,000 of this exemption applies to all taxing authorities. The second $25,000 of exemption excludes School Board taxes and applies to properties with assessed values between $50,000 and $75,000. As a result, the homeowner would get a substantial savings on their property taxes. Other Types of Exemptions: Senior (amounts vary), Widow’s/Widower’s ($500), Disability ($5,000), Blind , and Disability. The type of exemption benefiting the largest number of property-owners is the homestead exemption. If you own property which you use as your primary residence as of January 1, you may apply for homestead exemption. . This will reduce the taxable value of your home up to $50,000, resulting in substantial savings on your property taxes. I was just showing someone how to use Google Streetview to see pictures of a house and neighborhood as though you were on the street when I SAW MYSELF and a friend in the streetview trying to break into a house we had just bought at the auction. I always wondered if people saw the vehicles coming… now I know they just creep up on ya! How long do these pictures last? Probably until they go back around to that neighborhood to get a new picture, which could be another year. Here’s something cool. If you click on the link it will take you to the streetview picture. If you zoom into the white truck’s glass you can see the reflection of the Google car as it rode by… it’s a green and white car that says Maps on it. bc they take it from the public street and don’t use the zoom it is completely legal but they could’ve at least tap the horn and given me a heads up so my booty wouldn’t been in shot! Duval County’s tax sale, where Jacksonville is located, announces it is going digital. Beginning in January of 2012 the sale will be online. Jacksonville is the country’s largest city land-wise because the city is the entire county. Researching that sale is usually a mammoth task because the list is often 25-30 pages long on legal size paper! Yet, still the sale brought in about two hundreds investors from all over the country to crowd a large courtroom for sometimes 8 hours or until every property is sold. A pleasant demeanor goes a long way along with the ability to communicate with a home owner as well as a tenant or vagrant and neighbors. I find this and self-confidence to be one of the best tools to getting the information you need or the outcome you desire. Your self-confidence goes a long way. If you don’t believe in yourself why should anyone else. People can sense your lack of self-confidence about as well as a dog can sense fear. On that note if you find yourself in fear, its ok, just DON’T SHOW IT. I won’t go into detail here in the newsletter about the techniques but I will warn you that it is not as easy as you think. It’s important that you think ahead about why you are going out to the property and it’s also important that you imagine and prepare for every scenario that can happen. There are a variety of techniques investors implement when using some of the items I’ve listed above, some techniques may not be as obvious as you might think. The United States will remain the top choice of most global commercial real estate investors in 2012, but the country has lost ground to Brazil which ranked No. 2 this year, according to a survey released Sunday. While the United States offers the most stable and secure option in commercial real estate, investors said improvement in rent and occupancy growth and the repeal of a 1980 foreign investment tax would have the strongest impact on their investment decisions, according to the 20th annual survey of Association of Foreign Investors in Real Estate (AFIRE) members. For about the past year or so, investors in U.S. commercial real estate have focused on gateway cities such as New York, Washington, Boston, San Francisco and Los Angeles, driving prices up and yields down. Meanwhile commercial property in Brazil, with its bubbling economy and safer investment environment, has become a hot spot for global investors. Sao Paulo, Brazil’s largest city, jumped to the fourth best city for real estate investment dollars in 2012, up from 26th place last year. The United States is still very desirable and was second behind the UK in attracting cross border investment in 2011, according to Real Capital Analytics preliminary figures. AFIRE’S survey respondents hold more than $874 billion of real estate globally, including $338 billion in the United States. Sixty 60 percent of respondents said they plan to increase their investment in U.S. real estate in 2012, down from a record 72 percent last year, according to the 20th annual survey. Some 42.2 percent said they believed the United States in 2012 would offer the best opportunity for the price of their commercial real estate investments to increase, down from 64.7 percent last year’s survey. The United States lost ground to Brazil, with 18.6 percent saying Brazil’s property market offered the best growth opportunity for their investment dollars. That’s up 14.2 percentage points, moving Brazil up to second place from fourth, and pushing China down to No. 3, according to the AFIRE survey. Seventy percent of respondents picked one of the three countries as their favorite, while the remaining 30 percent had top choices from 13 other countries on five continents. Respondents said they would invest more in U.S. commercial property if the fundamentals of rent and occupancy growth were stronger. Another U.S. barrier respondents cited was the Foreign Investment in Real Property Tax Act (FIRPTA). The 1980 act, originally designed to protect farm property from foreign ownership, subjects foreign buyers to both their domestic and U.S. taxes when they sell their investment, unless their home country has a taxation treaty with the United States. FIRPTA opponents have argued that the act unfairly penalizes foreign investors of real estate. Such double taxation does not apply if they buy U.S. stocks or bonds. As for the top cities for foreign investment in 2012, New York remained No. 1. London moved up to No. 2 from No. 3, swapping ranks with Washington. Sao Paulo was fourth, and San Francisco moved up to No. 5 from No. 10 last year. Europe’s sovereign debt problems and looming recession pushed most of the countries there – except for a few such as Switzerland and Poland – off the map for real estate investors. Germany lost about half its support among respondents in terms of stability and price appreciation, according to the survey. Emerging markets also seem to be getting more popular among potential investors. Respondents identified 25 countries they would consider for investment, up from 18 last year. Brazil topped the list, with China in second place, as each did last year. Turkey moved up to No. 3 from No. 7 last year. India and Vietnam each dropped down one spot, to No. 3 and No. 4 respectively. Appearing for the first time were Colombia, at No. 10, Hungary at No. 12, and Qatar at No. 17. As for U.S. commercial real estate, respondents said that this year they would most likely invest in apartment buildings, the fourth consecutive year multifamily topped the list. Of all the types of U.S. commercial real estate, the multifamily sector has not only recovered from the post-2007 real estate slump but rents and occupancy are even stronger than before. Warehouse and distribution centers ranked second, up from No. 5 last year. Office properties were third, up a notch from No. 4. Retail properties – shopping centers and malls – slipped to No. 4 from No. 2. Hotels ranked No. 5, down from No. 3 last year. The survey was conducted in the fourth quarter by the James A. Graaskamp Center for Real Estate, Wisconsin School of Business. One of the most popular questions people ask me, “Do bank mortgages really get wiped out by a tax deed sale?” Yes! As long as the bank was properly notified. Recently an Appeals Court ruled against a mortgage company that tried to fight a tax deed sale. This all started about a year ago when Wells Fargo (formerly Wachovia) received notice that one of their Indiana properties they had a mortgage on was going to the tax deed sale. Instead of SOUNDING THE ALARMS at the bank (or going to DEFCON 1!) they sat on the notice and didn’t do anything until it was too late. Indiana like most tax deed states notifies mortgage holders of pending tax sales, Florida gives the lender at least 20 days to respond. Apparently nearly a month’s notice is just not enough time for the these banks to take action. I often watch properties with a mortgage go to tax deed sale and sure enough, the larger the bank the less likely they will redeem the property in time. I don’t know if it is because these corporations are so big that information crawls at a slow pace up the corporate ladder or they just get more mail than they can handle. By the time the notice is given to someone who would know better… it’s too late. In most cases these notices are sent Certified Mail, which should indicate to the person receiving the mail… THIS MIGHT BE IMPORTANT. All I can say is their loss is sometimes a tax deed investors’ gain. Wells Fargo fought the sale in trial court and when they lost there they filed an appeal. Wachovia appealed on the basis that they believed the notice should have been sent to an executive officer or agent of the company instead of how the State Law governing tax deeds dictates. This October the Appeals court ruled against them. Wells Fargo lost the case and their mortgage. You can read more about the ruling in the Court of Appeals’ opinion .